Decay and other forms of trauma to the teeth can leave you feeling like your smile is damaged. If you’d like to restore your self-confidence and love what you see when you look in the mirror, the team at Just White Dental is here to help you. Dental crowns and dental bridges are two of the many services we offer you to improve the structure and function of your teeth. The bridges and crowns at our practice can be treated just like your normal teeth, with regular brushing, flossing and checkup and cleans at our practice. With proper oral hygiene, your restoration will last for years. 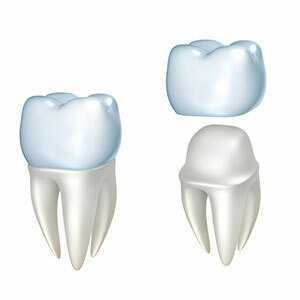 Only the best materials available on the market today are used in creating your crown or bridge. Contact us today to schedule your appointment or to discuss crowns and bridges West Ryde!